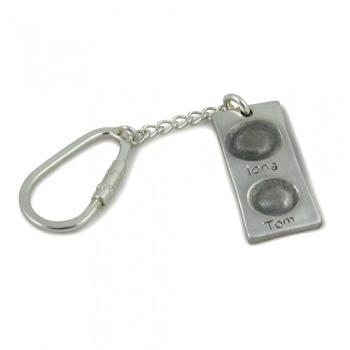 Our Rectangular Chunky Charm Fngerprint Keyring can have 2 prints on one side with names. 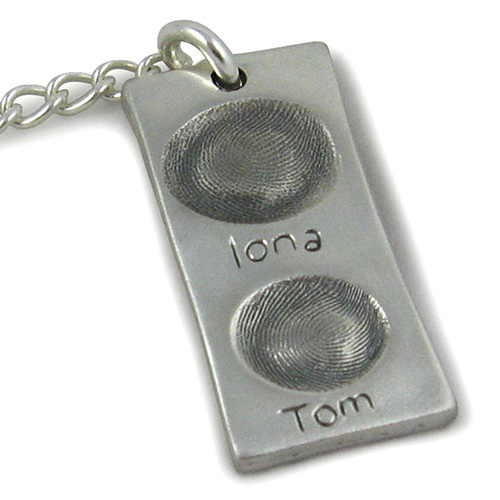 Our Rectangular Chunky Charm Fngerprint Keyring can have 2 prints on one side with names. 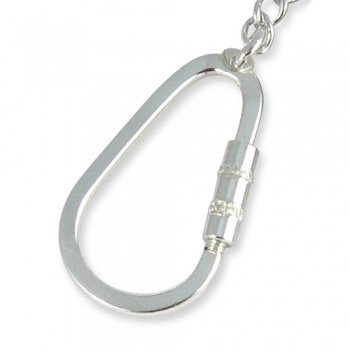 The high quality keyring is made from sterling silver. For this price you can have 1 or 2 prints on one side. 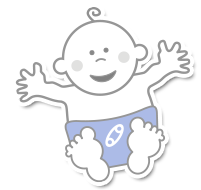 We also do the double-sided version with 3 or 4 prints.